Warner Bros. Interactive Entertainment today released a NEW LEGO Marvel Super Heroes 2 vignette spotlighting the latest gameplay inspired by Marvel Studios’ Thor: Ragnarok, which was in theatres from 27th October. 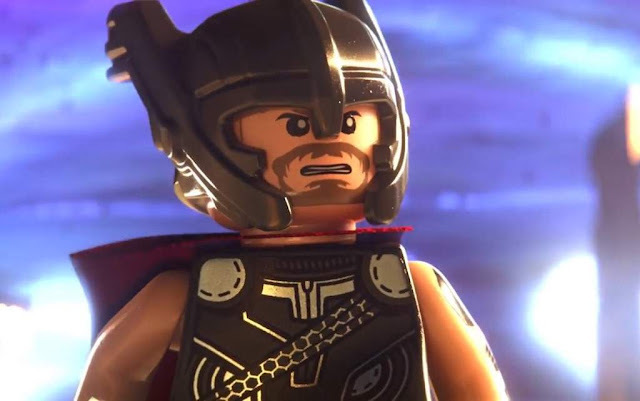 In the video, fans can catch a glimpse of Thor donning his signature helmet, Hulk sporting his gladiator attire, and a host of other familiar movie-based characters such as Odin, Loki, Heimdall, and Surtur, as well as fan-favourite variants from across Marvel’s many universes and timelines, including Grandmaster, Thor Jane Foster, Throg, Beta Ray Bill, Red Hulk, Greenskyn Smashtroll, Maestro, and more. LEGO Marvel Super Heroes 2 will be available on 17th November 2017 for PlayStation 4, Xbox One, and PC and on 1st December 2017 for Nintendo Switch.